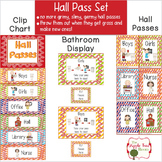 This sheet of four (4) hall passes is a template that teachers can use to make duplicates. 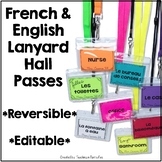 This hall pass template includes student name, destination, date, time and teacher signature. 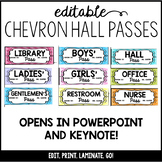 Printable hall passes that you can edit to make your own. I punch a hole at the top and attach a lanyard after I have laminated them. Multiple background options to choose from. This services 32 stludents with a place for their name, date, destination, signout time and sign in time. It certainly can be personalized. 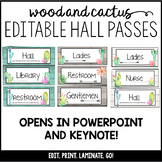 This owl hall pass template is completely customizable! Feel free to use as is or make any necessary changes! Enjoy! FREEBIE! 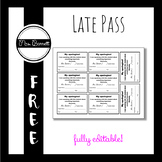 Hall Pass Template - Editable! I have a love for pineapples so this is a super simple pineapple hall pass template! Feel free to use the locations on my passes or insert your own! 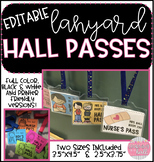 Personalize your hall passes! Word template, so it is easy to permanently add your name and room number. FREE! 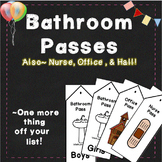 Hall pass form template office pass, nurse pass, room pass, cafeteria pass, other pass. Use this template to create a sleek, simple, effective hall pass for your classroom. Funny hall passes I created when I ran out of our district provided ones.